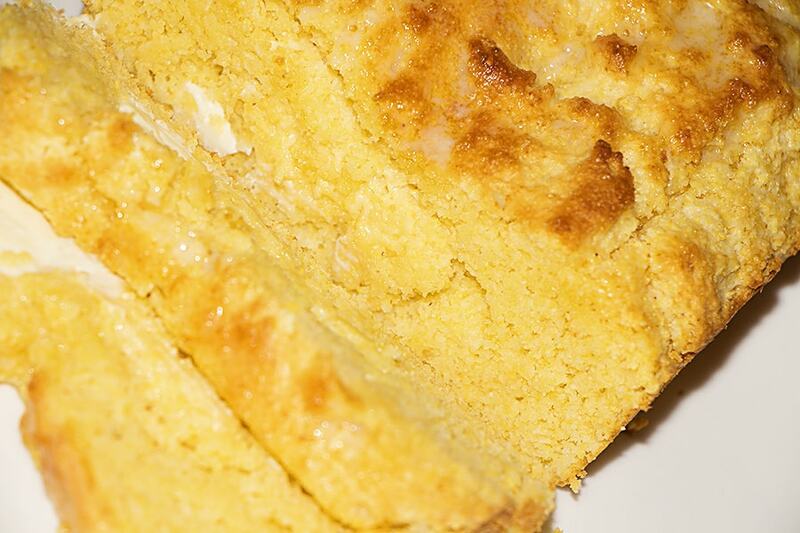 If you love Corn Bread, you have to try this recipe. Corn bread can be dry if overcooked and becomes a pile of crumbs that is a big disappointment. Sour Cream Corn Bread solves all these struggles instantly. 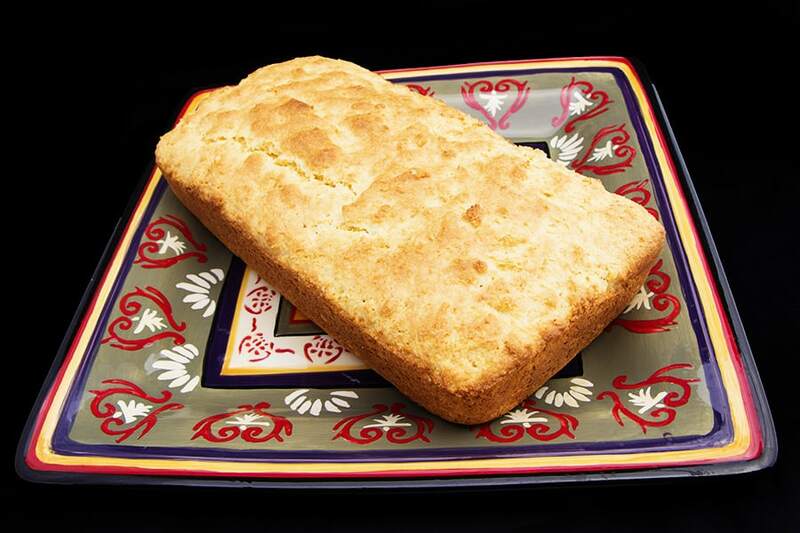 This is a quick easy recipe to making warm cornbread at home that you will enjoy hot out of the oven or as a leftover the next day. Place all dry ingredients into a mixing bowl. Add wet ingredients and hand stir, you don’t want to over stir. The batter will be lumpy. It’s ok! Pour into a loaf pan and bake at 350F for 20 minutes. 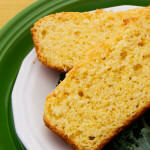 Slice into this bad boy you will never go back to traditional corn bread again. The sour cream in this recipe helps the texture of the corn bread to hold together as well as keep it moist. 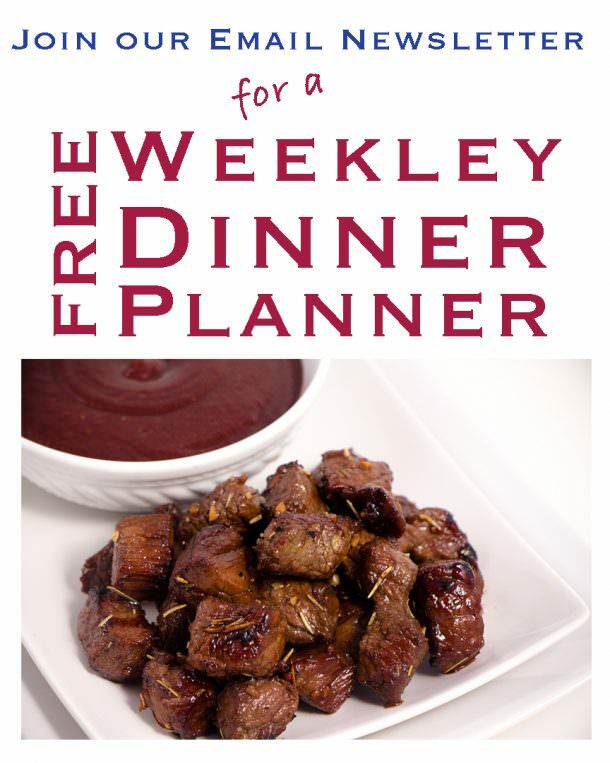 Serve this hot with Taco Soup. TIP: Add 1/2 cup sour cream to a boxed mix and you will be amazed at the difference! In a mixing bowl, place all dry ingredients and mix together. Add milk, egg, sour cream and melted butter to dry ingredients. Mix well but do not over beat.